4. 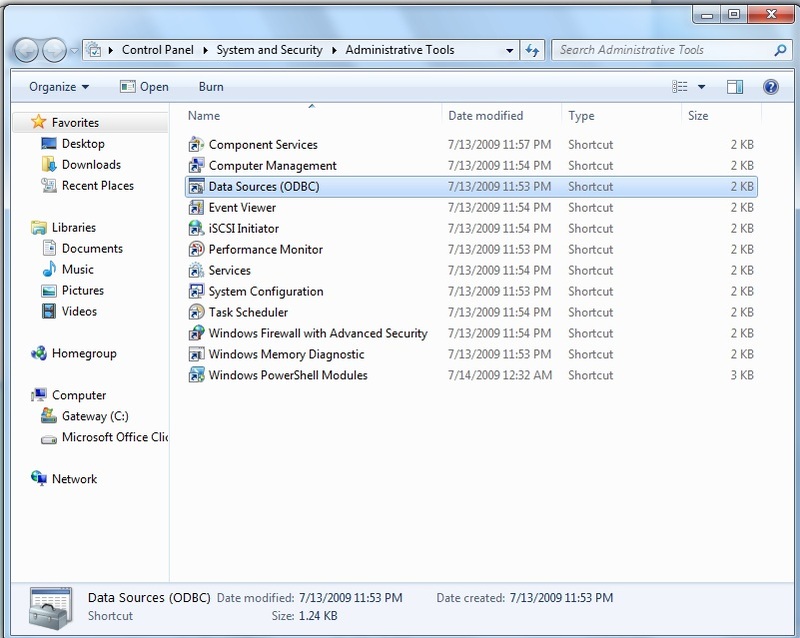 The next screen will highlight available odbc drivers installed on your system. 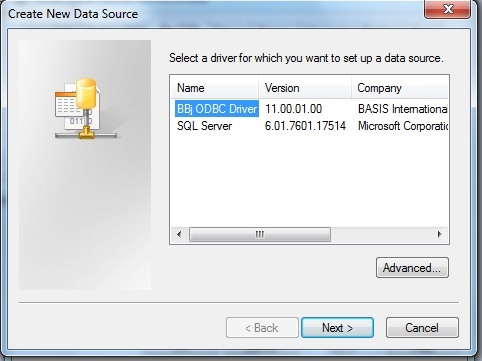 see bbj odbc driver as a choice. highlight it and click NEXT. 5. you will be prompted for a name for the new odbc connection. call it OSAS. 6. the configuration screen displays. 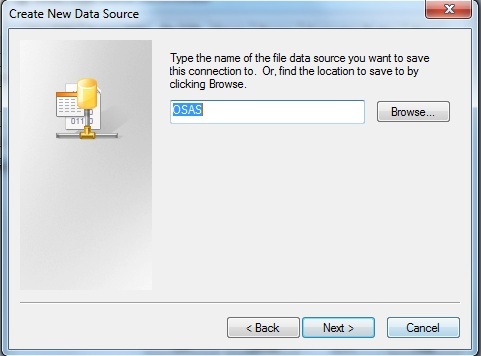 enter a description such as OSAS ODBC. in your computer properties. on a multi-user system, it is the server name. the default user name is ‘admin’ and the default password is ‘admin123’. 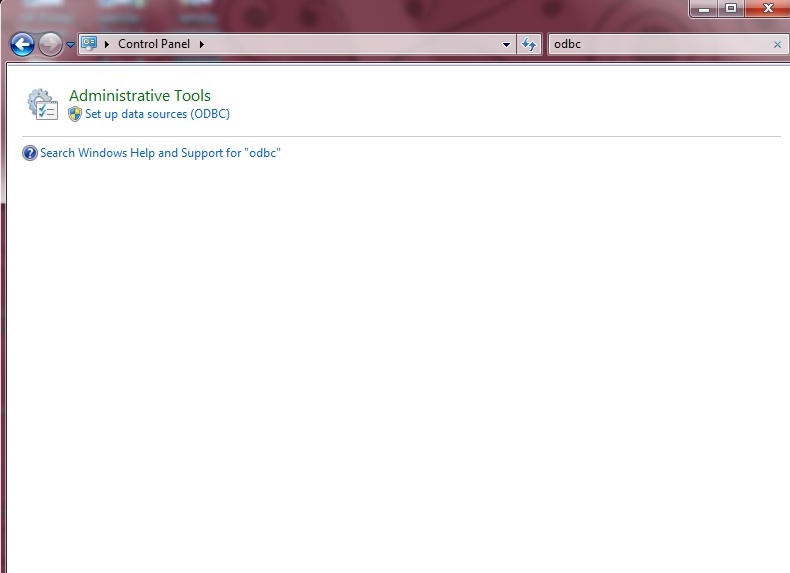 the default database name set up via enterprise manager is OSAS Data. odbc to read-only and not write back to the data files.